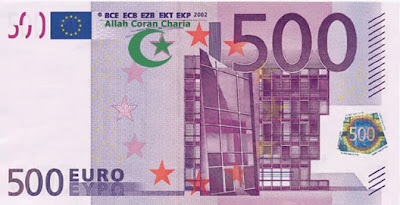 Vatican Paper Supports Islamic Finance. In yet another act of conciliation on the part of Western religions towards Islam, the Vatican newspaper Osservatore Romano has voiced its approval of Islamic finance. The Vatican paper wrote that banks should look at the rules of Islamic finance to restore confidence amongst their clients at a time of global economic crisis. “The ethical principles on which Islamic finance is based may bring banks closer to their clients and to the true spirit which should mark every financial service,” the Osservatore Romano said. “Western banks could use tools such as the Islamic bonds, known as sukuk, as collateral”. Sukuk may be used to fund the “‘car industry or the next Olympic Games in London,” the article says. The Vatican article is only one of many articles that have recently appeared on the acceptance by Western governments and bankers of an Islamic financing system. More than accepting it, they seem to be welcoming it, though they are certainly being pressured into this by unnamed forces bowing to the dictates of Islam. Last December, the French Senate looked at ways to eliminate legal hurdles, particularly levies, for Islamic financial services and products in France and the potential for listing companies on the Paris Stock Exchange. Senate sources said that this area of the financial market is worth from 500 to 600 billion dollars and could grow by an average 11 percent a year. French Finance Minister Christine Lagarde has announced France’s intention to make Paris “the capital of Islamic finance” and announced several Islamic banks would open branches in the French capital in 2009. The world economic crisis has changed the ball game. From New York to Hong Kong, all the financial centers on the planet are grabbing the billions of dollars amassed by the oil-rich monarchies of the Gulf. To tap into this manna (…) is the stated goal of Christine Lagarde. “We are determined to make of Paris a great center for Islamic finance,” declared the Finance Minister as she inaugurated the second French forum on Islamic banking. For another longer English-language article, visit Islam On Line. This article goes back to July 2008, showing that even before the crisis, France had initiated a policy favoring Islamic banking.